Mphandlana Shongwe, a political activist charged with treason and sedition in Swaziland for among other things chanting the names of banned political parties, has been on bail for twelve years awaiting trial. His case highlights how the kingdom ruled by King Mswati III, sub-Saharan Africa’s last absolute monarch, harasses dissenters. 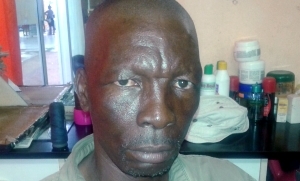 Shongwe, aged 57, has been reporting to police once a month as part of his bail conditions. He also had to pay E6,000 bail money. He is accused of committing treason in 2006 and sedition in 2009. His 2006 charge arises from a period when there were a number of lighted bottles of petrol thrown at government and official buildings. The 2009 case involves Shongwe allegedly shouting ‘Viva Pudemo! Viva Swayoco!’ at a public meeting. The People’s United Democratic Party (Pudemo) is a prodemocracy political party. The Swaziland Youth Congress (Swayoco) is Pudemo’s youth wing. Both are banned in Swaziland under the Suppression of Terrorism Act. Political parties are banned from taking part in elections and the King appoints the Prime Minister and government ministers. Shongwe, who has the nickname ‘Victim’ and was a founding member of Pudemo has history as a political activist. In a profile published in March 2016, Peter Kenworthy wrote, ‘Along with eleven other activists, including PudemoPresident Mario Masuku, Victim was arrested and charged with treason in 1990. ‘Amongst the charges was conspiring to form a political party with a military wing with the intention of overthrowing King Mswati’s hand-picked government, organising trade unions and holding political meetings where overthrowing this government was discussed. ‘But as several prosecution witnesses claimed that their statements had been made under threats, and other prosecution witnesses’ statements seemed rehearsed, the judge ruled that any treasonable or subversive activities had not been proved. ‘Victim was given a six month-sentence, for a couple of minor charges, instead of the yearlong sentences that the prosecutor had called for. And instead of crushing the movement, the trial had given Pudemo and Victim a public face both in Swaziland and beyond. ‘The High Court had also proved that there was no armed insurrection being planned by Pudemo, but that the organisation was simply concerned with bringing true democracy to Swaziland. Kenworthy added, ‘“It was that trial that registered the people’s movement, and from thereon we have been in and out of courts but never looked back”, Victim says of the importance of the trial. ‘Another effect of the trial was that the state increased the victimisation of Pudemo leaders. President Mario Masuku was dismissed in the local bank he had worked in for 18 years, Victim was expelled from college, and many others suffered a similar fate. ‘In fact it only took a couple of weeks for the police to detain Victim again, this time on consecutive detention orders without him and his two co-detainees being told what the charges against them were. ‘The trio went on a hunger strike that only ended after several weeks of agony, a royal pardon, and after Victim had suffered from heart failure and was told by a doctor that he could easily die. ‘Since the hunger strike, Victim has been in and out of prison and has been constantly harassed and on occasion beaten up and tortured by the police. He has also remained unemployed because of his Pudemo activism. ‘In 1994 he was arrested for demonstrating peacefully against the government, and became an Amnesty International Prisoner of Conscience. In 2006 he was beaten unconscious by police under interrogation and dumped in a hospital bleeding profusely. In 2009 he was arrested for shouting slogans wearing a Pudemo t-shirt, and charged with terrorism. And the list goes on,’ Kenworthy reported. In 2010, Shongwe was one of four activists arrested just before they were due to speak at a May Day rally at the Salesian Sports Ground. Police said they arrested the four because it was a function especially for workers and the speakers being were not workers. Shongwe, one of the leaders of the Swaziland Democracy Campaign, said at the time he was subjected to house arrest. He said after being interrogated for two hours, he was taken to his home where he was warned to remain indoors. He said he was ordered to make a statement in writing, explaining why he attended the Workers’ Day because he was not a worker. The four were taken to the Manzini Regional Police Headquarters. A police spokesperson said the four were not charged but were held for questioning.